Yes, with school back in action and the days getting shorter, that time of year is edging closer. 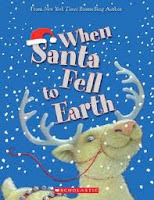 And there are more films opening shortly with Holiday themes.One of my favourite Christmas books is Cornelia Funke's When Santa Fell to Earth. From the creator of wonderful, wonderful books such as Inkheart, Reckless and the Thief Lord, in this holiday offering, things are not going well for the last real Santa Claus. With dangerous villains out to stop him, skittish reindeer who are afraid of storms and a bunch of cranky elves, Nikolas falls to earth and becomes stranded in a small town... and now, it's been made into a film! Announcing.... Walker Eireann!!! A new branch of Walker Books has just published it's first four books. These best-loved picture books by Irish authors have just been released in the Irish language. 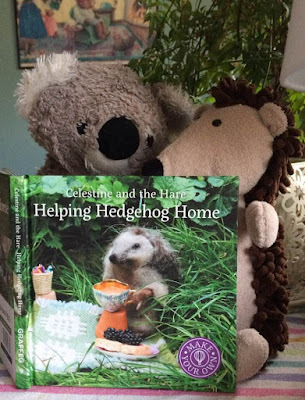 Just so we're all clear... they are Guess How Much I Love You by Sam McBratney, Owls Babies by Martin Waddell, The Ravenous Beast by Niamh Sharkey and A Bit Lost by Chris Haughton; all expertly translated by Gabriel Rosenstock. Available now! We're just one week away from Roald Dahl Day... each year Roald Dahl Day is celebrated on Roald Dahl's actually birthday. 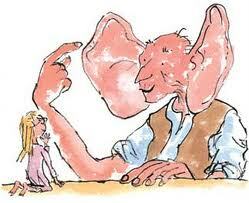 And this year, the big exciting news is that our old friend, The BFG is turning 30!!!!! 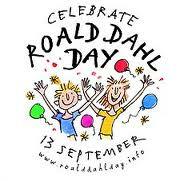 Here's the link to the Roald Dahl Day site. 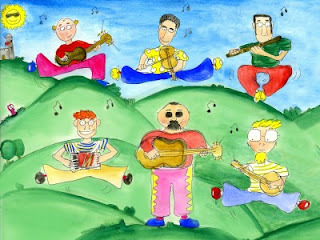 Check it out and join in the fun! 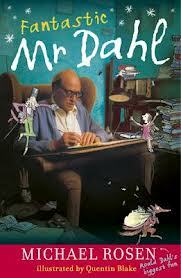 (Also... you may want to check out an earlier posting on this blog regarding Roald Dahl Day and the BFG). Time to Dream Big with The BFG!!!!!! By the way.... in case you're preoccupied on the 13th of Septemer, don't worry about missing out. September 28th has been designated DRESS UP BIG Day. How about organising your class to Dress Up Big in Dahl/BFG inspired costumes in support of Roald Dahl's favourite charity... or one of your own choosing???? Great idea!!!!! "Get set for the Dahlicious Dress-Up Day, Friday 28 September. 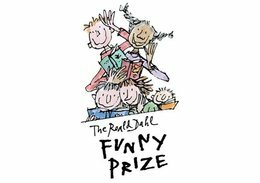 All in aid of Roald Dahl’s Marvellous Children’s Charity, we’re inviting schools to dress up in their most wondercrump Roald Dahl inspired costumes. Our BIG dream is that every school in the UK will take part and raise money to help seriously ill and disabled chiddlers. What costume idea will you dream up? Register now for your fundraising pack at www.roalddahlcharity.org or email schools@roalddahlcharity.org registered charity no 1137409"
It seems all is not well in Fairyland, and when September makes her return trip she finds that it's residents have all been losing their shadows... and their magic... to Fairyland Beneath. There is a new ruler, Halloween, who is actually.... oh, wait! I say too much! The Mountains to Sea Festival is on! Beginning today, there are more authors for the whole family than you can shake a stick at (please don't!) 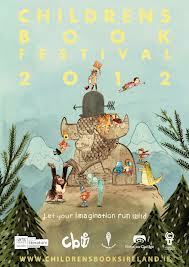 But do get yourselves to Dun Laoghaire and soak in the atmosphere and meet so incredible, favourite authors. 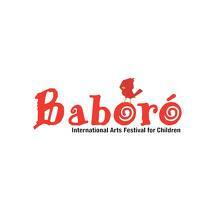 Family events include writers such as Marita Conlon McKenna, Steve Cole of Astrosaurs fame, the unbelievable Derek Landy, Robert Muchamore.... so many others. And don't forget the Monster Book Lunch on Saturday! There's something for everybody! 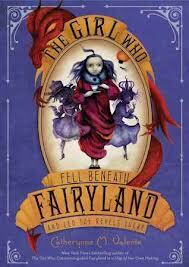 CHERUB Author Coming to Town! Attention all you Robert Muchamore fans.... and I know there's a lot of you! On Thursday, 13 September at 4pm, the man himself will be appearing at Dubray Books Galway branch (4 Shop Street) in honour of the recent release of his new book; Guardian Angel. This is part of Muchamores' first ever Irish tour, so there is much excitement! Guardian Angel is the second book in the brand new CHERUB series that began with Peoples Republic. The first series, now classic CHERUB, began in April 2004 with The Recruit and ended August 2010 with the publication of Shadow Wave. But now those cunning young intelligence operatives are back in a second series. People's Republic was launched last year, and began the saga of twelve year old Ryan, a new hero. 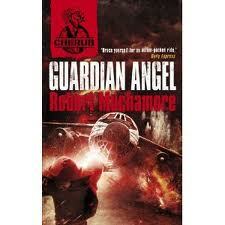 Guardian Angel brings Ryan back for a second time, with an even deadly mission than his first! 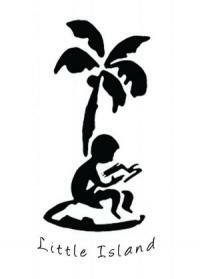 Join Muchamore at Dubray Books in Galway, where he will be available to sign books and have a bit of a chat. Don't miss this event!